Kentucky History | Everything Kentucky! 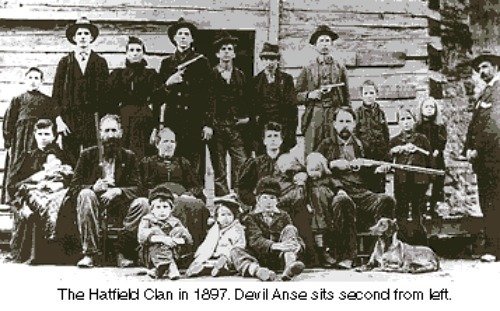 The feud between two Appalachian families, the Hatfields and McCoys is one of the most famous battles in history. These two mountain families fought for years. The McCoys lived on the Kentucky side of Tug Fork, a tributary of the Big Sandy River and the Hatfields lived on the West Virginia side. 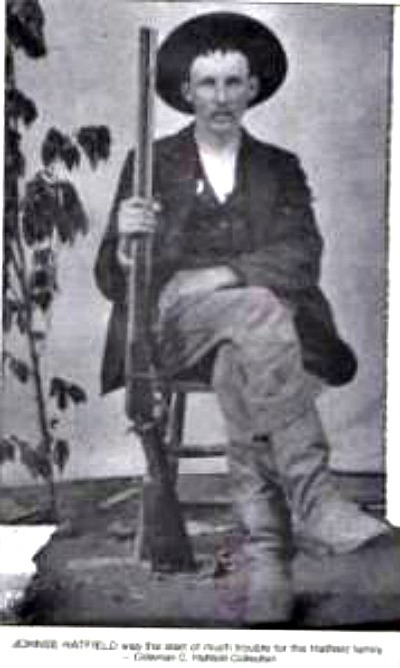 Most members of both families fought for the Confederacy during the Civil War but Harman McCoy of Kentucky fought on the Union side. Some say his murder was the first violence in the feud. 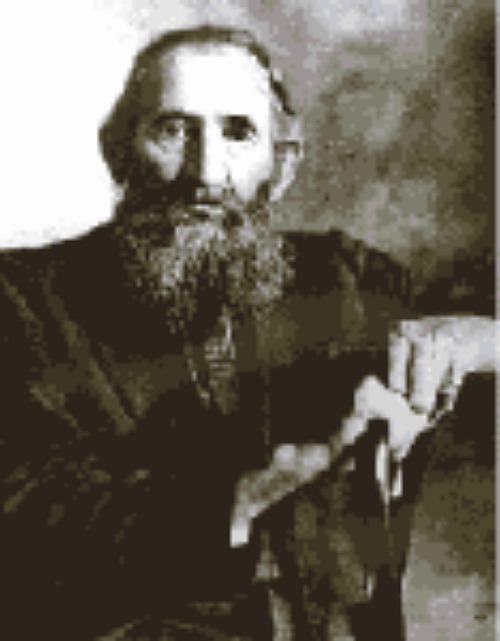 Harmon was actually killed by some ex-confederates but the McCoys suspected Devil Hatfield. Devil was actually innocent of the crime. He owned a timber operation during this period and even employed several McCoys. The Hatfields were affluent people for their time and well connected politically. Then, there are those that say the violence really started over the ownership of a hog. Floyd Hatfield had it and Randolph McCoy said it belonged to him. In truth, the dispute was over property lines. The pig was in the fight because one family believed because the pig was on their land it was theirs. They went to a local Justice of the Peace (who by the way was a preacher and a Hatfield) and the McCoys lost due to the testimony of a relative of both families, Bill Staton. The feud escalated when Roseanna McCoy and Johnse Hatfield began having an affair and Roseanna went to West Virginia to live. 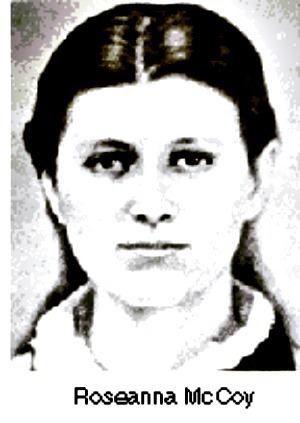 Johnse abandoned her when she became pregnant and married her cousin, Nancy McCoy. The feuding continued and between 1880 and 1891 more than a dozen members of the two families were shot, stabbed, hung or murdered. To try and restore order both the Kentucky and West Virginia militias had to be called up. The U.S. Supreme Court became involved in 1888 due to the murder of Alifair McCoy. Alifair was shot running from a burning building set aflame by eight Hatfield men. The men were all found guilty. One was executed by hanging and seven received terms of life in prison. The hanging took place in Pikeville, Kentucky. Finally, in 1891 the Hatfields and McCoys agreed to stop fighting. An actual peace treaty was signed in June 2003 in Pikeville by members of both families. Since I was born and raised in Kentucky, I have heard about this feud all my life. I don’t think I am related to any of these people but the names are common in Kentucky. The descendants of the two families even appeared on the t.v. game show Family Feud several years ago and they had a live pig on stage during the entire show. A great post about how the city of Paducah, Kentucky actually got its name and puts to rest previous incorrect stories.